Sahib Shihab (born Edmond Gregory, June 23th, 1925 in Savannah, Georgia ? died October 24th, 1989 in Tennessee) was a jazz saxophonist (baritone, alto, and soprano) and flautist. He first played alto saxophone professionally for Luther Henderson at age 13 and went on to study at the Boston Conservatory and to play with trumpetist Roy Eldridge. He played lead alto with Fletcher Henderson in the mid forties. He first played alto saxophone professionally for Luther Henderson at age 13 and went on to study at the Boston Conservatory and to play with trumpetist Roy Eldridge. He played lead alto with Fletcher Henderson in the mid forties. He was one of the first jazz musicians to convert to Islam and changed his name in 1947. During the late 1940's Shihab played with Thelonious Monk. During this period he also found time to appear on many recordings by artists including Art Blakey, Kenny Dorham and Benny Golson. 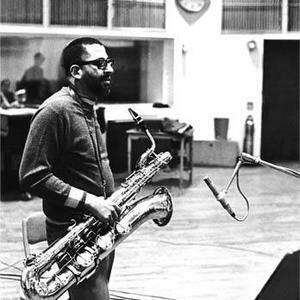 The invitation to play with Dizzy Gillespie's big band in the early fifties was of particular significance as it marked Sahib's switch to baritone. In 1959 he toured Europe with Quincy Jones after getting fed up with racial politics in USA and ultimately settled in Scandinavia. He worked for Copenhagen Polytechnic and wrote scores for television, cinema and theatre. In 1961 he joined The Kenny Clarke-Francy Boland Big Band and remained a key figure in the band for the 12 years it ran. He married a Danish lady and raised a family in Europe, although he remained a conscious African-American still sensitive to racial issues. In 1973 Sahib returned to the United States for a three-year hiatus, working as a session man for rock and pop artists and also doing some copywriting for local musicians. He spent his remaining years between New York and Europe and played in a successful partnership with Art Farmer and died in Tennessee.